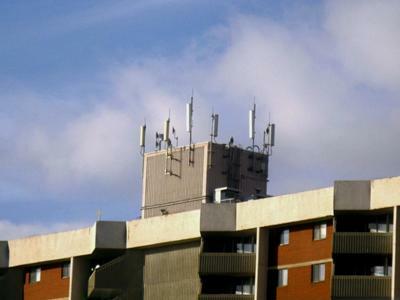 Rogers Wireless and Telus Mobility antennas located on an apartment building by the White Oaks Mall. Located in London, Ontario. 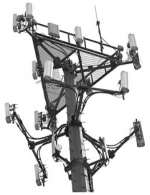 Ericsson equipment cabinet in view underneath antennas. If these are set far back enough on a larger rooftop you can't see them from the street level. Thanks for the post.